An excellent ‘situation based comedy’ revolves around a police officer who is affectionately called ACP Saheb. Police officer ACP Saheb is surrounded by a bunch of stupid officers and a handicapped (blind) constable in his office, and an illiterate, short-tempered and dominating wife at home. To make matters worse, his only son is a Smuggler and a Gangster. His mission turns into a love story between one of his officers and a smuggler. Many other funny situations take place in his police station and home and a special case of black money and demonetization. 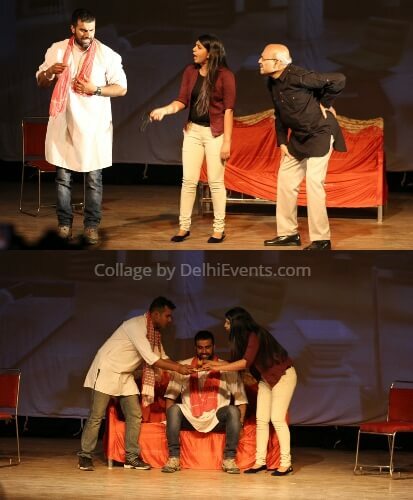 What he does to clear the mess in the police station and his life forms the crux of the play & “All Idiots”.